The Grand Lucayan resort complex in Grand Bahama is for sale. 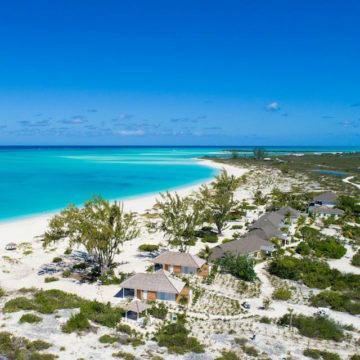 The 409-acre resort, the largest on Grand Bahama, is being sold in a sealed bid auction by its owner, a subsidiary of Hong Kong-based Cheung Kong Property Holdings Limited. The company has engaged HVS Capital to act as advisor in the sale. According to HVS, Cheung Kong’s preference is to sell the resort as a single transaction, but bids for individual assets will be considered. There is no reserve price for the auction, whose deadline for submitting bids is June 10. The property includes 1,271 guestrooms, along with four hotel elements: the 10-story, 528-room Breaker’s Cay tower; the 198-room Lighthouse Pointe all-inclusive; and 23 Lanai suites.